Have you ever dreamed of working from the comfort of your own home? Avoiding the manic traffic everyday, and reclaiming those countless hours spent in the commute? A work-from-home job helps you get more time for yourself. You can choose to spend that time with your loved ones, or acquire a new skill, or work on your favorite hobby. Working remotely is already a reality for many people. From stay-at-home moms to avid travelers and entrepreneurs, a remote career can take many different forms. Many military spouses are even choosing a work-from-home career they can take with them over traditional employment. 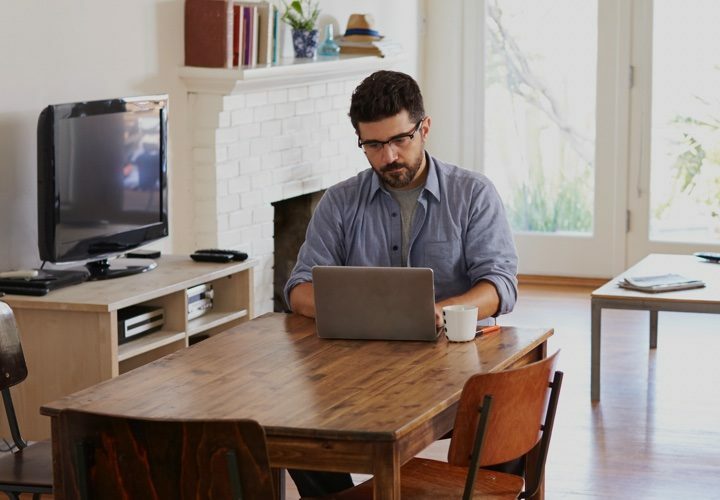 If you’re looking for a work-from-home opportunity that fits within your skills and education, here are 17 of the most popular remote working jobs. If you’re great at solving problems or resolving conflict, you may want to consider taking a customer service representative job. As a customer service representative, you can answer questions, assist customers and fix problems, all from the comfort of your own home. A great place to find remote customer support jobs is the We Work Remotely job board. Customer service jobs are also easy to find on your regular job-search sites, like Careerbuilder. You could also check out Upwork, which is dedicated to listing telecommuting positions. Being an online tutor allows you to help students all over the world develop their education and understand information. In order to be an online tutor, you typically need to have some level of education or experience in the areas you’re tutoring in. Online tutors typically get to set their own hourly rate, but most make between $10 and $40 an hour. You’ll want a price that reflects your education and experience. A good place to start your online tutoring job search would be Tutor.com, which seeks experts in fields ranging from foreign languages to calculus to the principles of management. Another good option to find a tutoring job is Preply. Students across the world use it to find private tutors who teach via Skype. You can also find something more tailored in a round-up like this one, which features 13 different sites for online tutoring positions. Just about every business or company needs written content. From blog posts and newsletters to grants and contracts, the world of freelance writing is extremely broad. If you’re a strong writer, freelancing may be the right work-from-home job for you. The pay range for freelance writers can be extremely vast. When writing for certain websites or content mills, you may expect to get paid between $1 and $20 for an article. However, if you have the right skills, you could get paid hundreds of dollars per article. You can find freelance writing jobs at these sites: WriterAccess, Textbroker, Scripted, Skyword. Surprisingly enough, Craigslist is also a great place to find freelance writing gigs. You can search for them in several places on the site: under the “Jobs” section, you can find a section specific to writing, as well as part-time roles and temporary gigs. When you search the site, you can also switch the location to “telecommute” and narrow down your results to virtual positions only. Many companies know that social media is important for growing their audience, but they don’t have the time to tackle the task alone. As a social media manager, you can work directly with companies to develop an online presence without ever needing to go into an office. Being a social media manager requires extensive knowledge of social media platforms and how they work in a marketing sense. This means you’ll probably need some education or experience in marketing before you get hired. However, many marketing managers charge upwards of $100 an hour for their services. We Work Remotely also lists remote marketing jobs and many of them pay really well. Hubstaff Talent has a specific section for marketing & sales jobs that are remote and you can also consider creating your profile on it. This would help you in connecting with companies that are looking for remote workers. 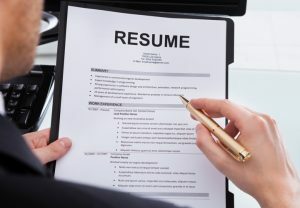 You can also check out FlexJobs.com, or perform a search on LinkedIn. A search on a regular job site like Monster can also pair you up with plenty of social-media management positions, though you might have to search a bit deeper to find one that lets you telecommute. Selling for a multi-level marketing company, also known as an MLM, is one of the most popular kinds of work-from-home jobs. There’s a variety of companies that operate on a multi-level marketing system, including those that sell makeup, jewelry, kitchen supplies, health supplements and more. To begin in an MLM, you typically don’t need to have any specific education, but an entrepreneurial mindset will help you go far. The amount of money you can make as a salesperson depends on the amount you sell and the company you work for. Typically, you’ll take home around 30% of your entire sales. The American Marketing Association has a dedicated job board for site users, and all of the postings are obviously tailored to the field. Arguably, software programming has the highest number of well paying remote jobs. Good programmers are highly in demand and many employers are willing to hire them remotely. You can check these particular job boards for remote programming jobs: Remote OK, Stack Overflow Jobs, GitHub Jobs. There are a lot of good remote jobs available for these designers. You can find them at Dribbble, Remote OK and Fiverr. Before a website goes live, companies will ask individuals to browse through to catch any mistakes, broken links or missing items. As a website tester, it’s your job to comb through copy, click different pages and find each and every piece that may have been forgotten about on the website. Website testers typically get paid by the test, rather than by the hour. 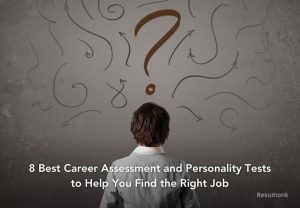 However, this means that the more test you can complete, the higher your hourly rate will be. For most individuals, this comes to about $10 for 20 minutes of work. As the world goes digital, more and more options are available for aspiring website testers. You can join sites like 99tests or uTest to find paid testing projects. Also, check out User Testing, which pays $10 after you visit a site and carry out a few tasks or answer questions about its usability. Enroll offers much the same to its testers, as do these other sites from around the world. A tech support provider is a type of customer service representative who specializes in providing tech assistance and advice. Because tech support providers are a bit more specialized, they tend to make more money than the average customer service representative. In order to get a job as a tech support provider, you’ll need to have great customer service skills, problem solving abilities and extensive knowledge in tech. You can expect to earn around $15 an hour as a tech support provider. As tech support is similar to customer service, you can try Upwork for jobs in this field, too. You might also want to think of tech companies that you call for virtual support and see if they’re hiring. Apple, for example, has jobs available for remote support. Virtual assistants, also called VAs, assist business professionals or entrepreneurs with their day-to-day activities. They may specialize in certain tasks or perform all the duties of a typical assistant. To become a virtual assistant, you may choose to go through a staffing company or work independently. Working with a staffing company can guarantee you a salary and work, but working on your own means you could get paid more. Some VAs even charge upwards of $100 an hour. 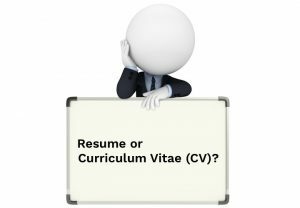 You could search for jobs via VirtualAssistantJobs.com, although traditional job-search sites like Indeed.com have plenty of listings, too. If you’re fluent in more than one language, a translator job may be the best fit for you. However, most translation jobs also want the individual to account for cultural differences and phrases that don’t translate word-for-word. Translator jobs typically pay by project rather than by hour. The price of a project is determined by how long the document or video is, so if you can secure longer translating projects, you can make a decent income from at-home translation. As communication crosses borders more and more, you’ll be happy to find that the internet is replete with translation-based tasks that you can complete at home. TranslatorCafe.com links translators with the clients who seek them, while TranslatorsBase.com has a wide variety of translation jobs available. Major brands and companies are always looking for feedback about their products or services. To entice more users to take their surveys, they’ll pay you for your time. Through online research companies, you can take a variety of surveys that can add up. Compensation for surveys can vary immensely depending on the company and level of commitment. Some surveys may pay upwards of $50, while others may be as low as $1. There are seemingly endless sites that offer payment in exchange for taking a survey. American Consumer Opinion has more than 6 million members who take part in surveys and research projects, for one. A quick Google search will also pair you up with articles like this one, which lists more than 20 sites where your survey opinions will be paid-for. If you have a nursing degree, being a telephone nurse is a great way for you to work from home while still using your skills and education. As a telephone nurse, you’ll spend your days educating patients or providing advice on treatment. To be a telephone nurse you do need to have an education in nursing. However, you’ll be compensated similarly to a regular nursing salary. You can find nursing jobs across USA on Nurse.com. Of course, the majority of them will be openings in hospitals — in-person positions — so narrow your search to include telephone-based positions only. Similar sites include NursingJobs.com and NurseRecruiter.com. Medical transcriptionists listen to doctors, nurses and other medical professionals dictate and then they transcribe those conversations. For someone with great listening skills and experience transcribing conversations, a medical transcriptionist can be a profitable work-at-home career. The average hourly rate for a medical transcriptionist is a little less than $18. You may need to undergo certain training in order to get hired as a medical transcriptionist. We’ve already mentioned Upwork, which offers medical transcription jobs, too. You can also check out Capital Typing, which posts a bevy of transcription openings or go it on your own with a few tips on how to find medical transcription jobs. Inputting data is a time-consuming job, but it’s necessary. Many companies are looking to outsource their data entry, making it an excellent at-home job for anyone who can type quickly. Individuals who choose the data entry path can expect to make around $10 to $20 an hour. Freelancer.com has a wealth of positions available, though you’ll have to bid on jobs against other freelancers. More specific data-entry jobs are available, too. If you believe you have insights and lessons worth sharing, you may be able to make it as a consultant. To be a work-at-home consultant, you typically need to have vast experience or knowledge in a certain area. The most successful consultants are those who have spent a decent amount of time in the workforce, such as retirees or parents on leave. The level of consulting you provide will determine how much money you can make. For many, consulting is a great way to make a full-time income from the comfort of their own home. Toptal.com is devoted to consultancy positions, listing short-term, high-quality contracts for consultants with experience. We’ve already mentioned Indeed.com, which is great for professional positions in all fields, but particularly suits your search for consultancy positions, too. Search engines, such as Google and Bing, are always looking for ways to ensure their results meet human standards. While their algorithms are always shifting to present the best results after a search, they need real users to test the pages and check that the right sites are appearing at the top. Search engine evaluators provide feedback to search engine companies on what’s working correctly and what needs to be improved. The average hourly rate for a search engine evaluator is about $12. Some web-search jobs require you to chat on the phone all day long, but you can find plenty of sites that let you work independently and completely virtually, including LionBridge.com and Leapforce.com. Work-from-home employment is becoming increasingly popular. In fact, work from home jobs have grown as much as 80%. Whether you’re looking for full-time work or a part-time gig, there’s a work-from-home job out there for you!